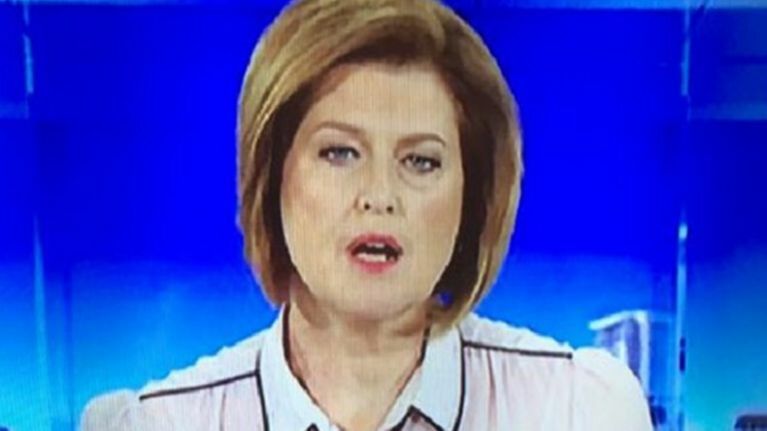 We’re not sure if Ros Childs of Australia’s ABC News 24 had a good look in the mirror before going on air earlier today but we bet she’s wishing she did now. Childs’ outfit attracted plenty of chatter on social media circles during and after her broadcast and a quick look at the picture below will give you an indication why. There’s nothing wrong with Childs’ blouse, of course, but, to be blunt, it’s hard to escape the fact that it looks like a pair of breasts were crudely drawn on it. Poor Ros, what was she inking?